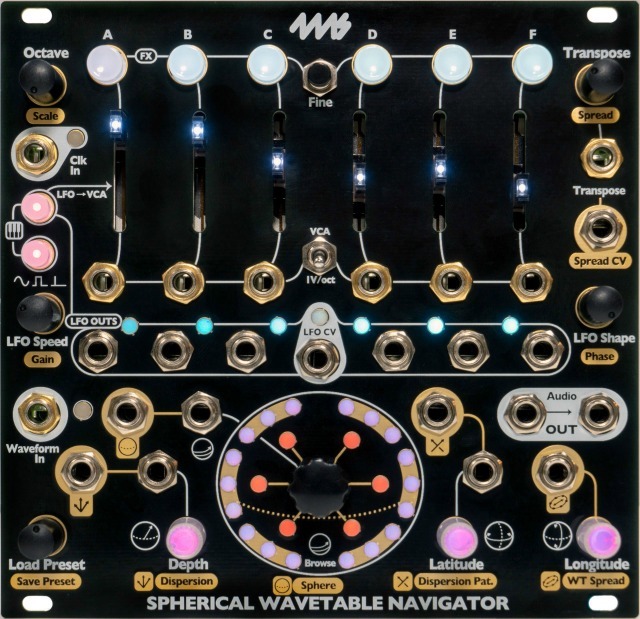 4ms describes their new Spherical Wavetable Navigator (SWN) as a six-channel synthesizer that makes it easy to create slowly morphing drones, polyphonic melodies, evolving sequences, and rich textures. 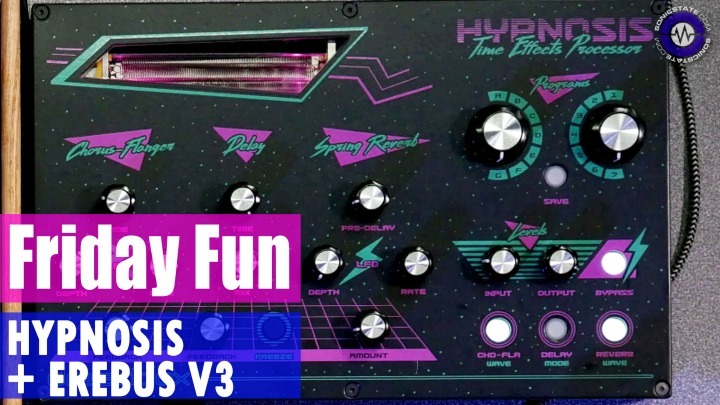 The SWN features six wavetable oscillators with independent pitch, level, and waveform controls. 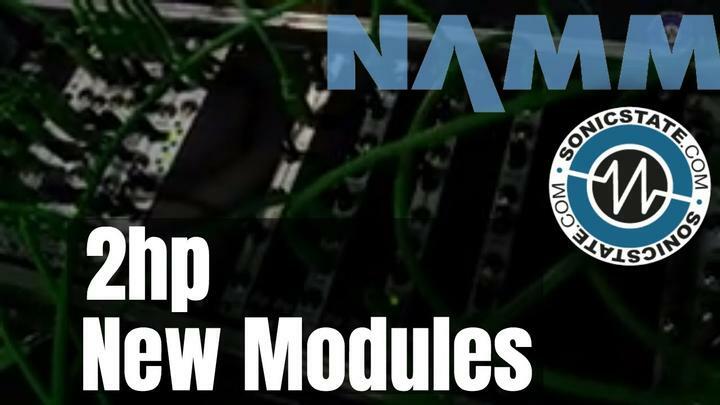 4ms says that six LFOs (Low Frequency Oscillators) can be used as modulation sources and/or envelopes, making it easy to add dynamic motion to your patch. 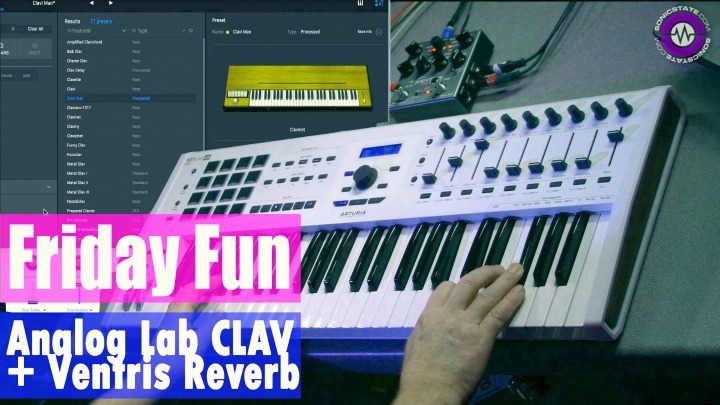 Each channel is a full voice and can be “played” using the top row of buttons, the internal LFOs, or note-change detection on the 1V/oct jacks. 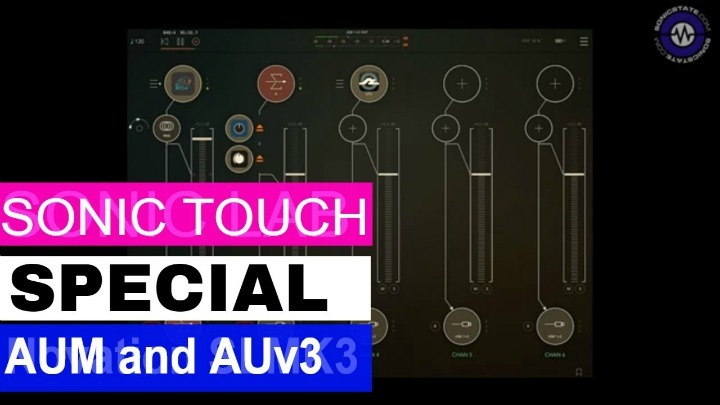 The SWN ships with 12 three-dimensional (spherical) wavetables and an easy interface which allows you to record and edit custom wavetables from live audio. Open-source software for Mac, Windows, and Linux called SphereEdit can be freely downloaded and allows you computer to create, edit, and convert .wav files into Spherical wavetables to transfer into the SWN with an audio cable.